SAYA/Design for Change, an Israeli-based architecture firm, designed approaches for Palestinian re-use of evacuated Israeli settlements. There is no question that architecture and planning have been crucial components of conflicts taking place in cities. But whether designs are used to solve or enhance frictions is another matter. Recently I came across SAYA/Design for Change, an Israeli-based architectural, planning and design office that has taken a proactive role in social change by devoting its practice to peacebuilding. 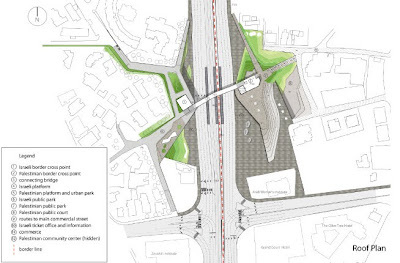 One recent project faces a scenario most city planners would want to avoid. 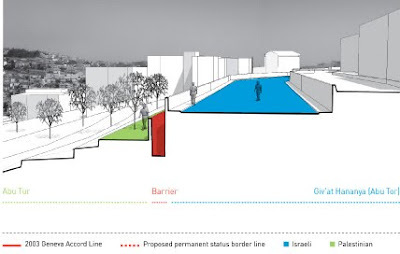 In collaboration with Palestinian planners, the office has created a series of designs illustrating options for specialized border crossings in a potentially split Jerusalem. 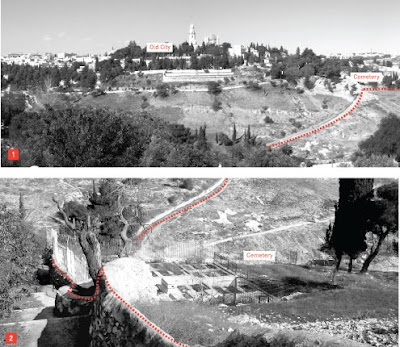 This is a case study of the challenges urban planners would face if a two-state solution ever came to pass. The work of SAYA/Design for Change is oriented around "resolution planning," a set of architectural and urban design tools that they developed for conflict resolution processes. Starting in the Israel-Palestinian context. the method is now being extended to other territories. The aim is to create better scenarios, master plans and policy proposals for final-status solutions to aid policymakers in the region and abroad. From the project "A City Border along Road 60, Jerusalem." 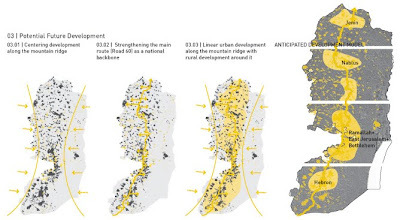 From the project "Ben Hinom Valley – Future Separation in an Open Urban Area." Credits: All images from SAYA/Design for Change.